In 2010, I was diagnosed with colon cancer and my world was completely rocked. As I made my way back to consciousness after my first colonoscopy, the words the doctor used were jumbled and nonsensical, but the tone in his voice was crystal clear…you have cancer! I knew from this very moment my life would never be the same. I would become part of a community that I wasn’t entirely ready to embrace. I felt my identity sadly shifting from wife, mother, daughter, sister, and friend to frightened cancer patient. I was hurled into the system without any warning and spent the next few months trying to make sense out of the treatment protocols and additional tests and scans that were required to gather more information. I felt like a small child lost in a foreign country where I was unable to speak the language. I wanted so desperately to believe him, so I dove head first into conventional medicine with a warrior mentality of trying to conquer cancer and was completely unprepared for the number of things that could go wrong. My first surgery left me with urine and stool leaking into my body and almost cost me my life. My second surgery to fix what went wrong from the first surgery left me in constant pain with a prescription for antidepressants as the recommended solution. My third surgery culminated with the removal of a once healthy kidney and included two blood transfusions to stop the unexpected internal bleeding. My healing journey was getting more and more challenging and I knew something had to change. I was living with PTSD, had nightly panic attacks, and struggled with the ongoing fear that the cancer could come back at any time. I incurred huge medical expenses, had constant doctor appointments, and no idea why I was always in excruciating pain. I was knee deep in a healthcare system that had let me down and ready to step out of the mainstream and start listening to what these challenges were here to teach me. 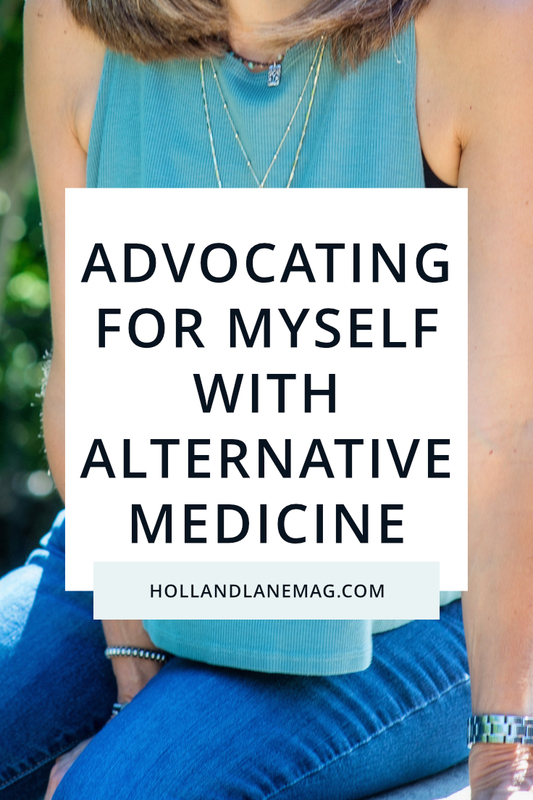 I began exploring and experimenting with alternative treatments that could help me feel like myself again even if my family and friends didn’t quite understand. I tried nutrition protocols, supplements, naturopaths, integrative physicians, functional medicine doctors, chiropractors, hypnosis therapists, tapping experts, medical mediums, energy healers, acupuncturists, essential oils, herbal remedies…and the list goes on. I began reading whatever I could get my hands on and paying attention to how my thought patterns were starting to shift. I learned about the importance of eating a high nutrient diet so my body could naturally heal and repair the damage that caused the cancer in the first place. I began to sit still long enough to feel and hear what my soul needed on a deeper level. I changed my environment, reduced my stress, stopped using toxic cleaning and beauty products, began dancing to get out of my head and back into my body, and became an advocate of all things holistic and healthy. Whew…I was doing it. I was finding ways to heal without having to poison my body, break down my immune system, or go back under the knife. Cancer was now a gift that gave me the courage to stand up and change my life. It was a reminder for me to work on forgiving (both myself and others) and let go of deep hurts and resentments that I had been carrying for years. I was finally stepping into the woman I always knew I could be, witnessing life’s synchronicities, finding my voice, opening my heart, and reclaiming my power to heal. I know it’s scary to discover you have cancer, but in my opinion, it’s even scarier to treat cancer with a band-aid approach that fails to address the root cause for why you got sick in the first place. Surgery, chemotherapy, and radiation are not the only treatment options for cancer – they have terrible side effects, wreak havoc with your immune system, and can set the stage for cancer to come back even stronger in the future. Yes, it's difficult to choose the road less traveled, but I encourage you to dig deep, be your own advocate, and search for alternative healing strategies that build you up instead of knock you down. There are practitioners out there who understand and can help you heal on a physical, mental, emotional, and spiritual level. The surgeries I endured left me with deep scars, both literally and figuratively, but they were a crucial part of my journey that gave me the strength to share what I learned so I can help make a difference for others. You have options…there is no need to fear a cancer diagnosis. Take all the time you need to explore how to heal naturally - if it's the right choice for you - and if one conventional doctor tries to convince you that his way is the only way, run as fast as you can in the other direction. Marietta Goldman is an Integrative and Eating Psychology Health coach who is passionate about helping women get intentional about healing from the inside out. She is a cancer survivor and self-care advocate who believes that for true healing to occur it is crucial to begin with the physical so you can free up energy to explore the mental, emotional, and spiritual from a place of love and kindness. She hopes to help women who are stuck in illness make a shift so they can release fear, open their hearts, trust in the uncertainty, and reclaim their power to heal. Through group programs, coaching, writing, and speaking engagements she hopes to help women take a deep breath and relax into better health!